Known as the “Grand Canyon of the East,” we had very high hopes for our visit to Letchworth State Park in Upstate NY over Labor Day Weekend. Jennifer and I have both visited the Grand Canyon in Arizona, but separately, and had very different experiences. Jennifer did it right: she and a couple of friends from college spent a few days there and did several hikes and runs throughout the park. I, on the other hand, was on a cross-country road trip with three other people, two of whom had little interest in seeing the Grand Canyon. So as a compromise we did the equivalent of a drive-by and spent a mere 3 or 4 hours in the park. While it was better than not seeing it, I was really left wanting more. That was sixteen years ago and I have yet to make it back. 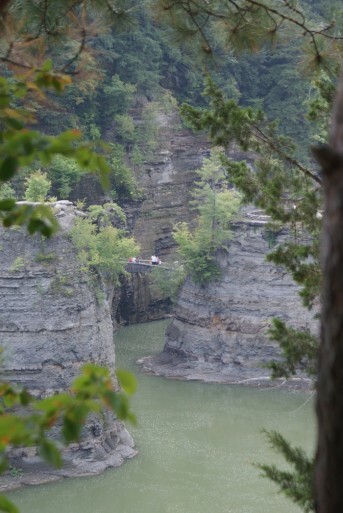 So I saw this visit to Letchworth State Park as a shot at redemption, but did not have high expectations that a park I have never heard of could rival the Grand Canyon. And to be fair, nothing can rival the Grand Canyon. But, notwithstanding the unfair comparison, I came away convinced; Letchworth State Park is amazing. 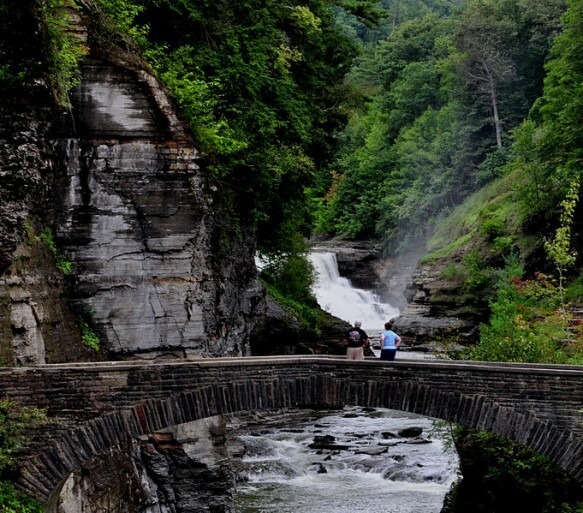 Located 35 miles south of Rochester, NY, Letchworth State Park is easily accessible from major highways. The park is 17 miles long and contains three stunning waterfalls. What I first noticed (and appreciated) was the lack of crowds. We were there over Labor Day weekend, and while there were plenty of people visiting the park, it never felt crowded. The park is also easy to get around, both by car and by foot, with over sixty six miles of trails. It is an ideal place for a day of outdoor exploration and adventure. Activities within the park include hiking, biking, swimming (there are two pools and several creeks) horseback riding, and fishing. For the more adventurous, there is kayaking and white water rafting on the Genesee River with class II and III rapids. 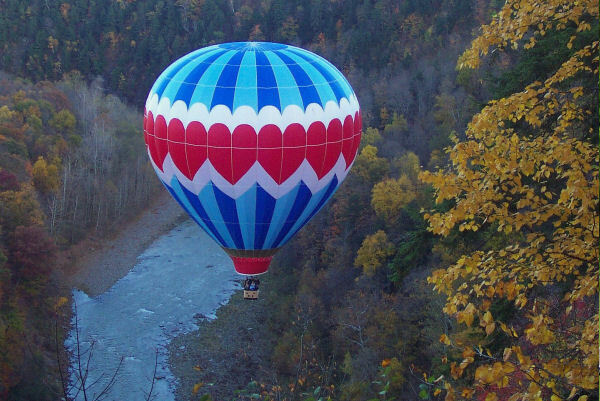 Our first choice would have been a hot air balloon ride over the falls, but that was not in the cards for us since there is a minimum age of 12 to go up in the balloon. So our family of four, including a four year old and two year old, set out to conquer this well-kept secret of a park armed with a picnic lunch, an Ergo baby carrier and a desire to discover as much as possible. Our first order of business was lunch, as the boys demanded that we have our picnic as soon as we arrived. We bought our provisions in Geneseo, NY, which proved to be wise since there are not as many options close to the park. 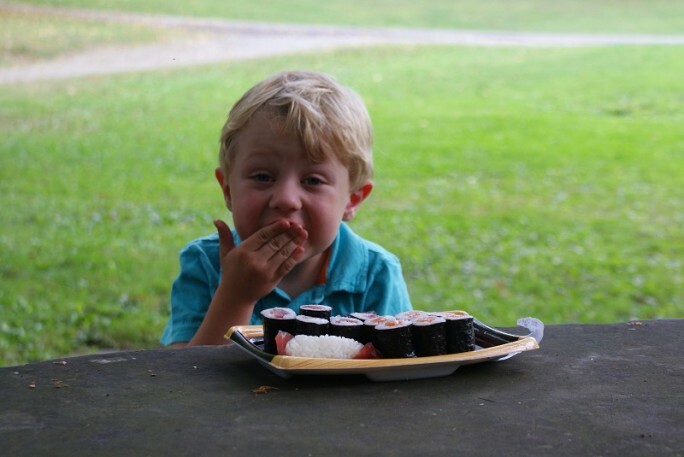 In typical Curley boy fashion, they opted for a picnic of sushi and M & M’s. With sushi and sandwiches quickly dispatched, we stopped at the Letchworth State Park Visitor’s Center to get a trail recommendation. 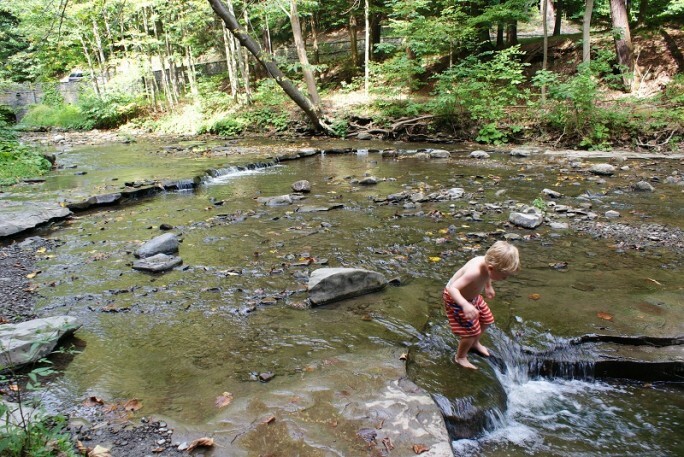 We have learned to try and pick the best hikes first, as we are always limited by how much hiking our four year old will do, which varies widely notwithstanding the fact that his energy seems boundless (especially immediately before bedtime). After a quick consultation with a helpful park ranger, we sought out Inspiration Point and the start of the Gorge Trail to Upper & Middle Falls. Declan thankfully agreed to ride in the carrier and soon into the hike we could hear the peaceful sounds of his soft snoring. With Declan asleep and Finnegan eager to set out on an adventure, we began the hike in earnest. The scenery was gorgeous with views of 600-foot cliffs and the river below. Once we reached Middle Falls, we took a detour to get a drink and visit the museum that features exhibits about the founder of the park and the Native Americans that lived in the area, as well as a mastodon skull found nearby. 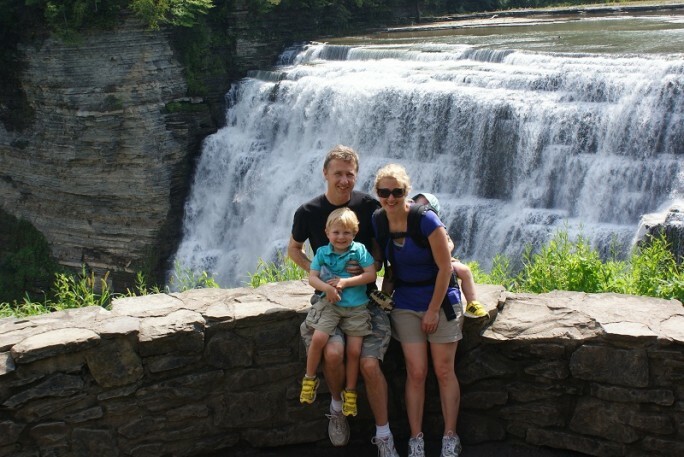 Just across from the museum is the piece de résistance of the park – the thundering Middle Falls where we posed for a family photo with Declan still snoozing in the backpack. 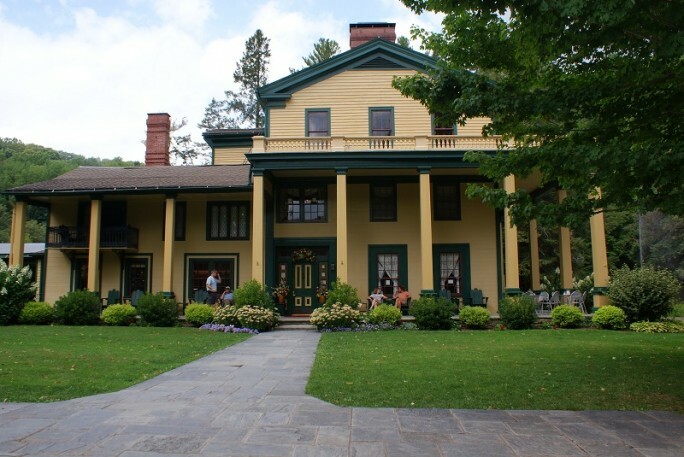 Directly across from the falls is Glen Iris Inn, where you can stay for a night or just stop in for lunch or dinner if you didn’t bring along a picnic. The Upper Falls are located just a little further up the trail, which was good since Declan was starting to wake up. Our return trip was a bit slower, but the trail is well shaded and the boys were troopers. We drove to the trail head for the Lower Falls, but the boys had more fun playing hide and seek in the woods so we didn’t make it down the 126 steps to the stone bridge, which looks impressive from afar. 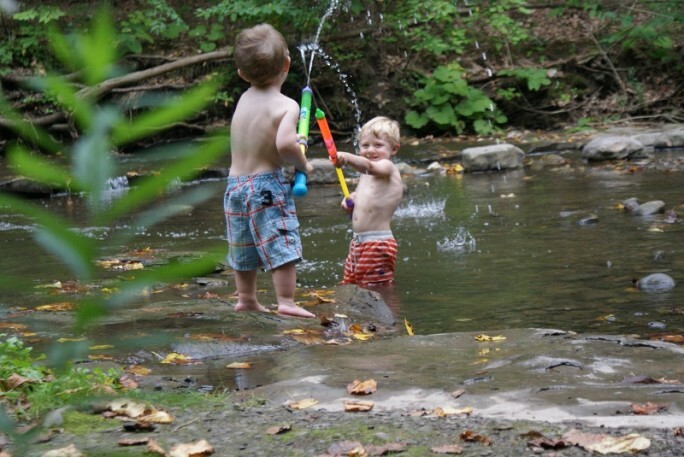 Once the boys were ready to move on, we found a small stream for them to wade in, which was a highlight for both. 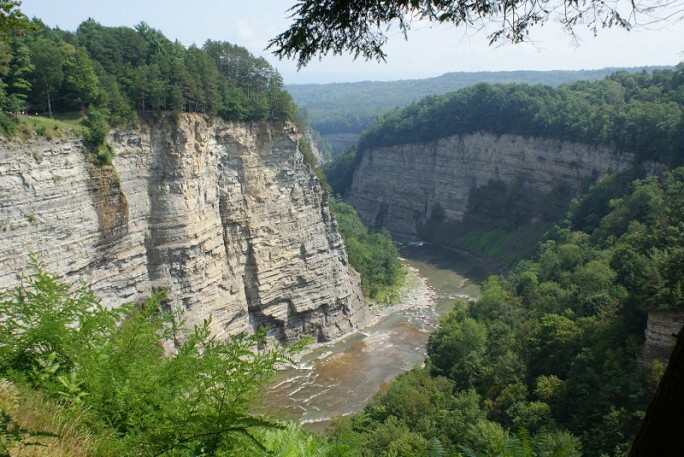 With dramatic rock structures, fast flowing rivers and deep gorges, Letchworth offers a menagerie of the power and promise of nature. Much the way you feel an almost Zen-like timelessness when you gaze out over the rim of the Grand Canyon, I felt myself looking out over Letchworth Gorge and wondering how many thousands of years it took to create this place and all of the history it has witnessed. And we need these places, if for no other reason than to remind us that our problems and concerns, while feeling all-consuming to us, are so trivial against the backdrop of the vastness of time. Much like my abbreviated visit to the Grand Canyon, I left Letchworth wanting more. One day was not enough to see it all, to do it all, or to experience it all. If you want to stay overnight in the park (which, after our visit, I am very interested in doing) there are a number of options. On the rustic end of the spectrum, there are campgrounds as well as a number of very affordable cabins to rent. 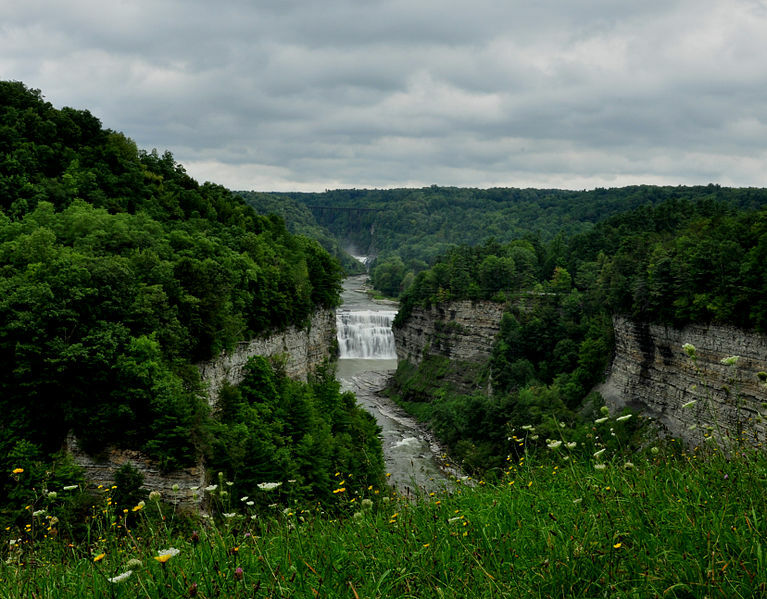 In fact, the Letchworth campgrounds were recently ranked one of the top 100 places to camp in the US. If you desire more of the accouterments of modern living in your accommodations, there are efficiency suites as well as the Glen Iris Inn, located just steps from the Middle Falls and offering spectacular views. 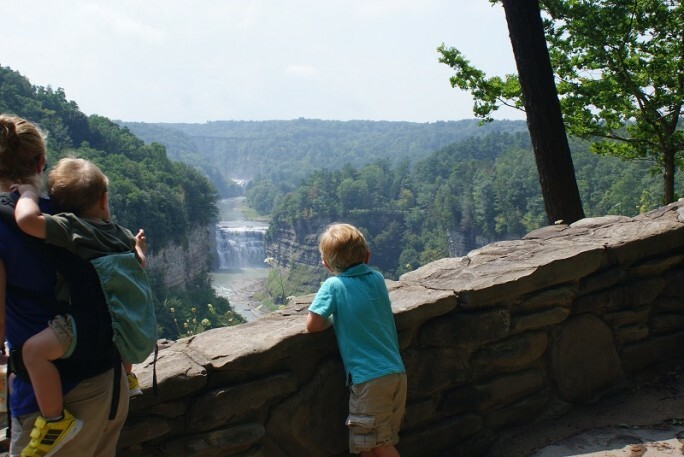 With the fall foliage season right around the corner, it’s a great time to start planning your trip to Letchworth State Park! I’m sure the park is spectacular in the fall.